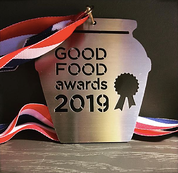 This January (2019) Hot Mama Salsa won a Good Food Award for their Smoky Coffee Chili Oil. Nikki Guerrero (owner) was in San Francisco to receive the award, saying, "I’ve always told my little girl that running a small handmade food business is my personal protest against our big Ag chemical based American food system. Last night everything I’ve been working hard at for the past ten years was confirmed and championed when Carlo Petrini hung this award around my neck. Thank you @goodfoodfdn for supporting the hard way." Born and raised in Phoenix, Arizona, Nikki moved from the dry southwest to the rich green soils of the Pacific Northwest as an adult. She had grown up making salsa and tortillas with her grandmother, and was always the one to bring guacamole and salsa to any social gathering. She searched everywhere in Portland for the flavors of home (fresh, handmade green corn tamales, soft flour tortillas, and spicy fresh-made salsa) to no avail. That led her to a realization that there was a need for the fresh Mexican flavors she had grown up with. A friend from Arizona had just purchased a small produce market and grocery store in North Portland and had been dreaming of stocking her shelves with fresh chips and salsa--just like home. That friend helped NIkki get access to wholesome produce and offered her shelf space. She also convinced the bar next door to let Nikki use their kitchen in the morning before they opened in trade for salsa. Hot Mama salsa graced the shelves of Cherry Sprout Produce for the first time in May of 2008 -- just in time for Cinco de Mayo celebrations! Hot Mama Salsa has grown to include three separate product lines. Wholesale reach has increased throughout Oregon and into Washington with sights set on California. 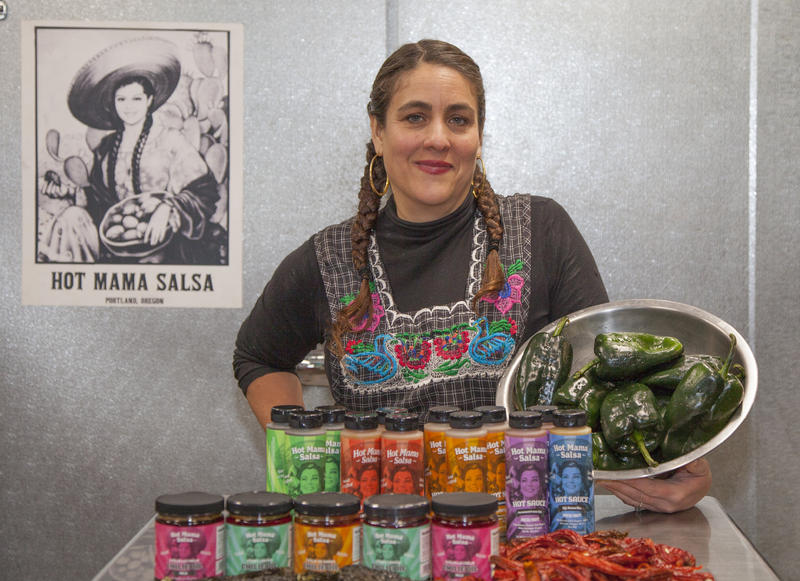 In 2016 Hot Mama Salsa partnered with a local property owner to design and build a 1000 square foot commercial kitchen in North Portland, that today supports six local food businesses and hosts visiting pop up and catering chefs. They also added an online store to the website and now ships products to customers nationally. With help from the PCC SBDC Nikki is enjoying the benefits of being a business owner. Are you ready to take your business to the next level? Our Advanced Small Business Management class can help you grow beyond the $1M revenue mark. LEARN MORE HERE.